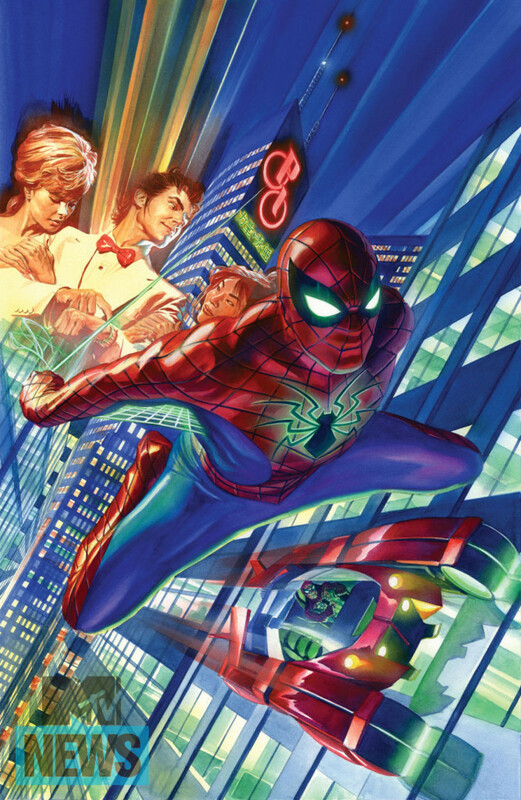 Home Comics Marvel introduces the “All-New, All-Different” Amazing Spider-Man! 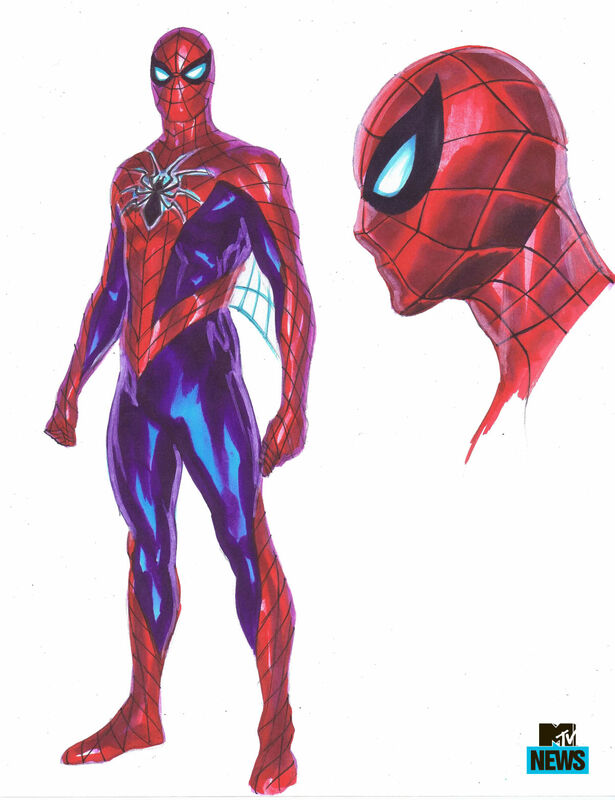 Marvel introduces the “All-New, All-Different” Amazing Spider-Man! This year, the entire landscape of the Marvel Universe will change upon the conclusion of the publisher’s currently mega-event that is “Secret Wars“. The regular universe featuring the heroes we know and their alternate versions and their worlds will all be housed in one single reality come the end of the crossover, bringing forth an “All-New, All-Different” Marvel Universe that sees about 30 titles announced with changes to status quos and team-ups. One of the most surprising changes coming to this new up and coming Marvel Universe will be in the life of one Peter Parker, better know to us readers as The Amazing Spider-Man. When Secret Wars ends, there will be TWO Spider-Men sharing the landscape, and former Ultimate Spider-Man Miles Morales will be flying high with his own solo “Spider-Man” title and joining a version of the Avengers as well. However numero uno Spidey Parker will still be around, and his own status quo will change in the form of new adventures, a new costume, and… A Spider-Mobile?! That’s right, new tights and new stuff for our friendly neighborhood wall-crawler is coming this October 2015, when “Amazing Spider-Man” relaunches courtesy of the creative team of fan-favorite Spider-Man writer Dan Slott and artist Giuseppe Camuncoli! The new redesigned suit of the webhead however was handled by none other than superstar artist extraordinaire Alex Ross, who even did the artwork to the cover of issue #1 above. Besides the new suit, Spidey’s going to be getting a new version of the Spider-Mobile, which he’ll be taking on his globe-trotting adventures. 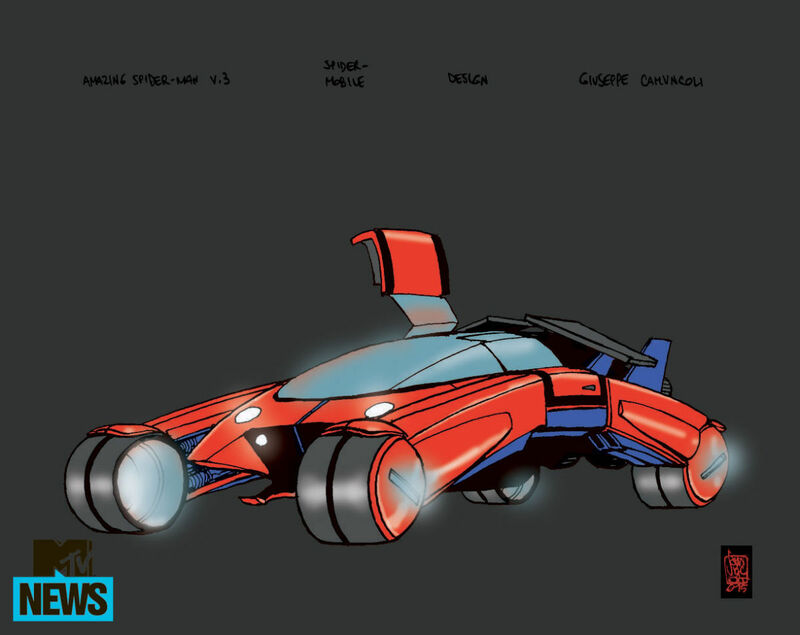 With Peter now assuming his responsibilities properly as head of Parker Industries, the webslinger will extend his adventures worldwide… And who knows when he’ll be needing that slick new ride to accomodate a fellow hero or save a damsel in distress? For more on this breaking swing shift, read the source post feature at MTV News!